To fill out our Tenancy Application Form online, please click here. To download a PDF version of the form, please click here. To fill out our Maintenance Request Form online, please click here. To download a PDF version of the form, please click here. On the day your tenancy starts you can collect your key from our office after 9.30am on a normal business day. Prior to moving you will need to have the electricity and telephone, internet, Sky TV etc. connected and transferred to your name. We recommend you use Fast Connect. Your rent is always payable weekly in advance by Automatic Payment. When you sign your Tenancy Agreement, we will ask you to complete an AP form, which we will give to your bank to set up your payments. Before moving in please go over the condition report thoroughly and make sure that everything is recorded, the report is correct and you agree with it. If you need to make any changes please do so on the report and send a copy to us within 7 days of the tenancy starting. Unless stated otherwise in your Tenancy Agreement, all lawns and gardens are your responsibility. We do have contractors we can put you in touch with if you want some help in this area. If there is anything, which requires repair or maintenance, please use the maintenance request form and submit details of the repairs required to the office. Any maintenance arranged by you without contacting us in the first instance will at your expense except in an extreme emergency in which case phone 0274 764 186 immediately. Rubbish is collected in your area weekly, only rubbish which is in prepaid bags will be collected. These bags are available for purchase from the supermarkets. Recycle bins are also collected on the same day. Rubbish must be disposed of regularly as it could become a health hazard, especially during summer. 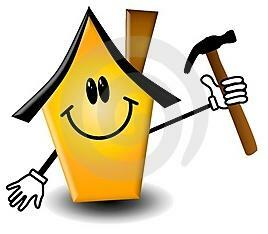 We inspect all properties approximately 12 weekly. You will be given written notice before a routine inspection. How clean you have kept the oven, bathrooms, toilets, carpets/floor coverings, light fittings, bench tops and surfaces, exhaust fans, mirrors, curtains, windows, etc. We ask you to present your home in a clean and tidy condition as we do photograph the property and send photos and a report to the owners. This is a good time to let us know of any repairs and maintenance that might need to be done. We hope you enjoy your new home, we’re here to talk about any problems you have during your stay. 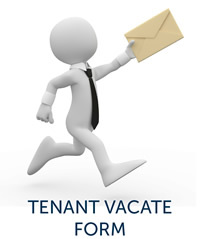 To fill out our Notice To Vacate Form online, please click here. To download a PDF version of the form, please click here. If you want to remain in the property after the end date of your Fixed Term Tenancy please contact us as early as possible, we will contact the property owner to discuss the possibility of your remaining. Alternatively if you’re moving on we will contact you near the end of the term to organise the final Inspection. If you wish to leave the rental property before your Fixed Term Tenancy expires, please contact us. We will discuss this with the owner of the property who may allow us to try to find new tenants to take over the rest of your term. There will be costs which you will be responsible for including advertising and an administration fee, you will also be liable for the rent until the date the new tenant moves in and takes over responsibility for the rent. If you have signed a Periodic Tenancy Agreement, you must give 21 days’ notice in writing, this can be by e-mail. Or you can download our Notice to Vacate form, complete it and return it to our office, or complete the form online here. Once we have an agreed move out date we will start advertising for a new tenant – we appreciate your help in allowing prospective tenant to view the property. We will always notify you before any viewing unless you have instructed us otherwise, and a Property Manager from our office will be present at every appointment. Your final inspection will be booked for the first working day after your moving out date. Please let us know if you wish to be present at this inspection to ensure your Property Manager doesn’t change the time to fit around other appointments. Please check the condition of the property and any owner’s chattels listed on the report and make sure the condition of the property and chattels is the same as when you moved in and all the chattels are still on the property. We will use the property condition report when deciding whether your bond can be returned to you. We will have new people moving into the property after you vacate, whether it be new tenants or the owner. 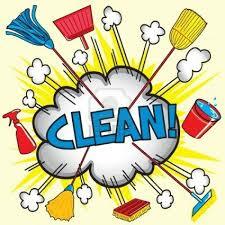 We require you to present the property in a spotlessly clean condition and all your personal items need to be removed. We will give you a final inspection checklist to help you prepare. If you follow the checklist, you should be able to avoid any unexpected costs in the event of our needing to arrange commercial cleaners. Don’t forget the lawns need to be freshly mown and gardens tidy. If you are on a metered water supply your Property Manager will read the meter when the final inspection is carried out, they will send you your final rent calculation plus water charges, these need to be paid in full before your bond can be refunded. Contact you bank to cancel your automatic rent payment before the date you are leaving the property. If the final rent payment is for only part of a week, we will calculate the part payment and give you the amount, which you need to pay at the end of the tenancy along with outstanding water charges before your bond, can be released. All keys must be returned to Karen Johnson Property Management Ltd on the date agreed for you to leave the property. All keys noted on your tenancy agreement, and any keys for locks you have had installed during your rental period must be returned in order to get you bond refund. Any remote controls should be left on the kitchen bench. Contact your suppliers and arrange for these services to be disconnected on the day you move out.